We appreciate your referrals of family and friends! Ahwatukee Animal Care Hospital and Pet Resort's team appreciates the confidence you have placed in us to care for your pet's health and well-being. We acknowledge that the greatest compliment we receive is when our valued clients recommend us to their family, friends, neighbors, and coworkers. Our Pet Pals Referral Program provides us with a method to give back to our loyal clients for continuing to help our practice grow. Additionally, it allows us to express our gratitude to the new clients willing to give us a try (by providing them with a discount on the first visit to our practice or resort). As a thank you for every referral you make, which results in a paid visit to our hospital or pet resort, we will credit your account $15 after their first appointment (you must be mentioned as the referral). This credit is good for one year from the month in which the new client was seen at our hospital or pet resort. You will be notified by email that a credit has been applied to your account. You do not need to save the email. There is no work on your part. We will post the credit to your account. Just image, referring 10 new clients can equal $150 credit toward your pet's care! You can use this link to our Refer a Friend Form to refer your friends and family to our hospital or pet resort. It's easy! Simply provide their name, phone number, address, and email address (feel free to include a message) and they will receive an email with a link to our website. Or, if you prefer, simply give them our contact information and/or ask them to visit our website. Please be sure you tell the individual you are referring to us to put your name on the new client questionnaire in the space where it asks: "How did you hear about us?" If they do not mention your name, you will not be given credit. 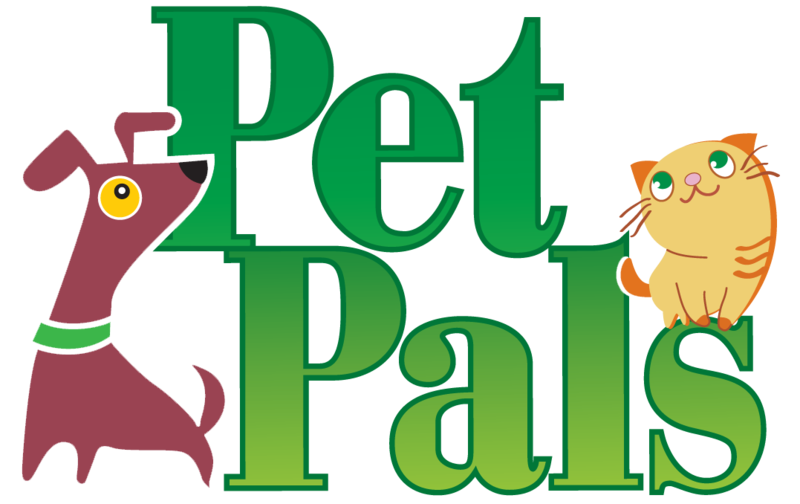 Pet Pals is our way of saying "thank you" for your trust in our team. 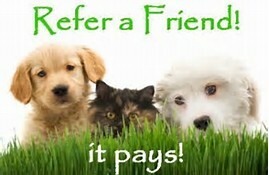 Complete the Pet Pals Referral Form today! Click here to go to the Referral Form. Thank you for trusting us with the care of your pet(s).